Imagine waking up paralyzed, suffered two strokes and two back surgeries then told you had dystonia, a nerve and muscle disorder, would you desire to live your best life? 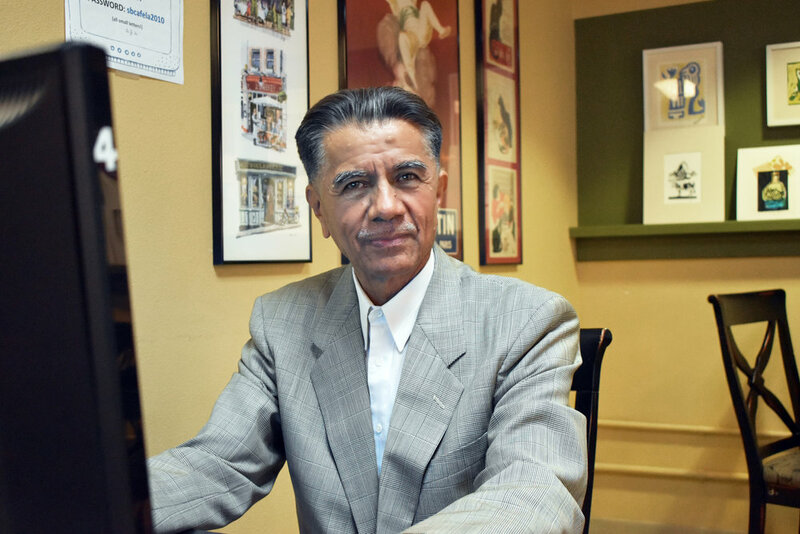 Vidilia Kinsey does and that’s exactly what she’s doing at St. Barnabas Senior Services. No stranger to illness, Vidilia’s health began to decline in 1999 and yet she will not let her circumstances limit her motivation to live life forward. 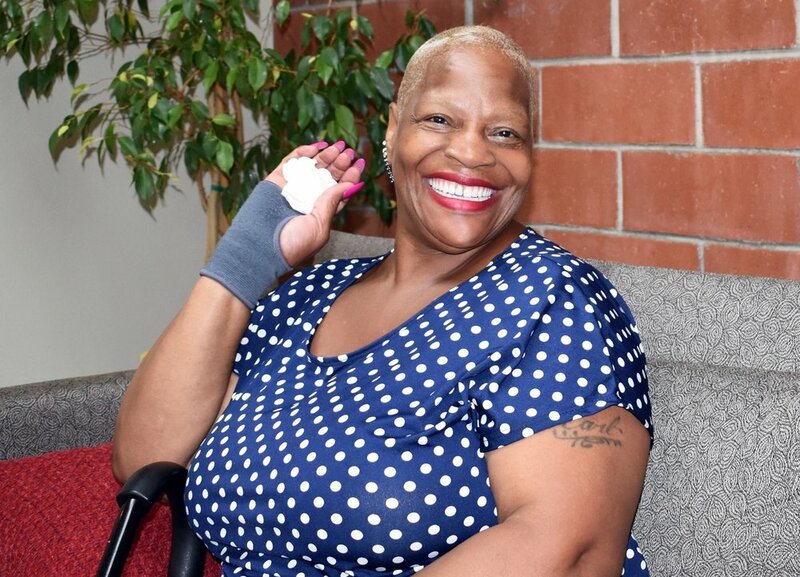 On her milestone 60th birthday, Vidilia arrived at SBSS to see what the senior services agency had to offer. She discovered more than she expected. Vidilia and her friends bowling and cheering each other on! Aside from Zumba, Vidilia bowls with friends! Well, virtual reality bowling on Xbox Kinect but nonetheless stays active and strengthens her mobility in the company of other seniors through gaming. Ask us and we’d say that SBSS not only gave Vidilia a place to rehabilitate, but a safe and supportive community to stabilize herself. Oh, and Vidilia, we agree; you do have so much to offer others! Help us transform the lives of seniors like Vidilia through our Fitness Club and social activities. Please donate and give the gift of joy today. Registration is now open for our 2019 Aging Into the Future Conference! Are you over 50 and looking for the latest innovations to make your life easier? Are you a caregiver looking for tech solutions to help you better care for your parents and loved ones? Are you a tech company looking to connect with Southern California’s diverse 50+ market? Join us for the must attend tech + aging event of the year! LEARN. Hear from expert speakers, attend workshops and learn something new. EXPLORE. Experience the latest tech products and solutions at our Tech Expo. CONNECT. Meet the organizations and resources that will help you get connected. INFLUENCE. Test up-and-coming new products and influence tech startups to develop better solutions. Renee Eng and Spectrum News recently stopped by our Eco Park location to shed light on how helpful and necessary technology proves to be for the aging adults in our community. They looked into how technology can increase mental stimulation, decrease loneliness, and increase employment. Click below to watch the full segments. 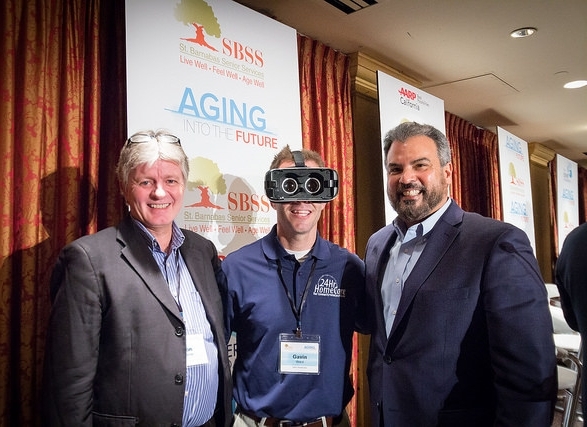 On Friday March 2nd, 2018, SBSS held the 2nd annual Aging into the Future Conference at the Millennium Biltmore Hotel in Los Angeles. 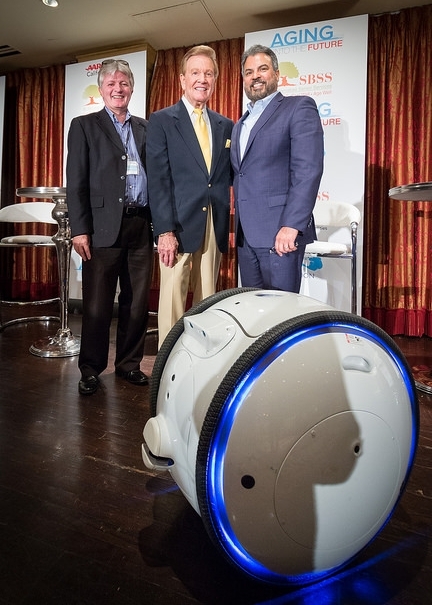 The conference, centered around providing the aging community with the resources necessary to learn about technology, boasted over 500 attendees. The day was filled with expert panels, small break out sessions, intimate technology demonstrations and hands on experiences. Thirteen tech start up companies and fifteen exhibitors worked with our audience to showcase the world of technology in comprehensive and effective ways. Panels, with speakers such as Los Angeles Mayor Eric Garcetti (by video) and LA County District Attorney Jackie Lacey, provided memorable experiences and plenty of knowledge. SBSS would like to once again thank all of the sponsors who made this event possible. Thank you for making this year's conference such a success. Click here to see more photos. We hope to see you in 2019 at our 3rd Aging into the Future Conference!